Kitten Season has officially begun at Squan Animal Hospital. 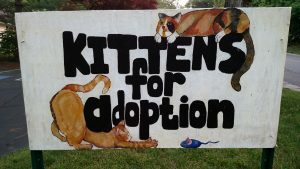 If you are interested in adopting a kitten or two stop in or call us. If you don’t find a kitten you love in the litter we have, we will be frequently getting litters throughout the summer.